‘Sale of the Century’ was not an exaggerated headline when the Economist broke news yesterday that Saudi Arabia is considering part-privatizing Saudi Aramco. The world’s largest oil company, Aramco controls around 16% of the world’s oil reserves (and nearly a quarter of conventional reserves). On top of its scale, Aramco plays an important symbolic role in global North-South relations. The nationalizations of the huge oil industries of the Persian/Arabian Gulf – facilitated by a young OPEC – were a defining moment in the early post-colonial period, when Southern movements demanded sovereignty over natural resources in their newly liberated countries. It is fashionable to view all Saudi oil revenue as undeserved, on grounds that it goes to princely palaces. Some of it does, but it also finances the health, education, and wellbeing of Saudi people – in fact significantly more genuine public benefit than is generated by privately-owned oil companies. The nationalizations have always stuck in the craw of neoliberals. For the world’s largest oil reserves to be extracted in the public interest by state-owned companies was not part of their script. Since the late 1990s, pressure has mounted for a return of Middle East oil to foreign companies, most notably in the Iraq War. In 2010, after seven years of occupation, companies like BP, Shell and Exxon were put in charge of running Iraq’s oilfields. The same is now proposed in Iran. Saudi Arabia is instead considering an initial public offering to financial markets of some shares in Aramco. Some of the same problems arise in either approach. In particular, it’s not a smart economic move to sell off an asset when its value is at the bottom of the cycle. When governments are made desperate by low oil prices, they often make that mistake, giving foreign investors a bargain that well outlasts the commodity downturn. But in this case, with the Saudi sovereign wealth fund potentially sufficient to weather several more years of low prices (at the expense of depleting it), it is more likely a product of the reforming zeal of Mohammad bin Salman – son of King Salman and second-in-line to the throne. He told the Economist he was “enthusiastic” about the idea. While involvement of multinational investors is far from a guarantee against corruption (and is often in fact the opposite), partial privatization of Aramco would require publishing financial and reserves data that is currently secret. That would at least tell us how much Saudi oil would contribute to climate change. On the other hand, it would create another obstacle to actually addressing it. Just as TransCanada is seeking compensation via NAFTA for President Obama’s rejection of the Keystone XL pipeline, any investors in Aramco would almost certainly demand access to similar investment arbitration, were the government to restrict their profitability for any non-commercial reason. For example, Saudi Arabia is a signatory to the International Convention on Settlement of Investment Disputes (ICSID), which allows investors to challenge governments in secret tribunals, with any compensation awards enforceable by seizing the state’s assets in any of nearly 160 countries. 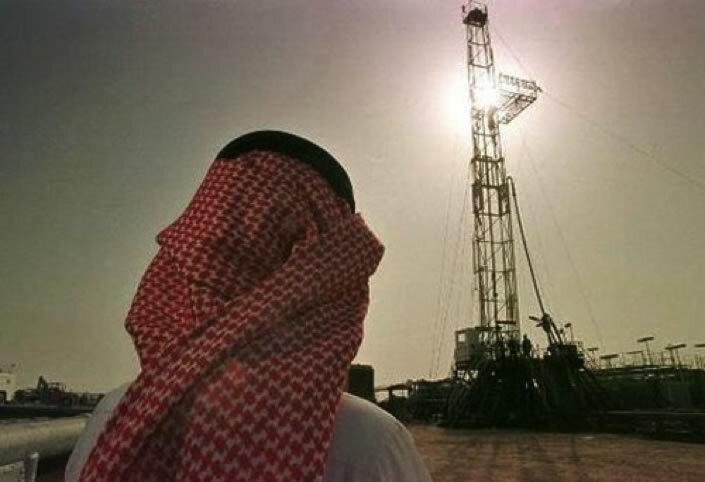 While Saudi Arabia is still a long way off addressing the role of its oil reserves in climate change, the threat of investor compensation claims would have a chilling effect if and when action is taken. We know that even to meet a 2°C warming target, three quarters of the world’s fossil fuel reserves would have to remain unburned. For 1.5°C, the numbers are even more severe. Fossil fuel companies fight among themselves for a disproportionate share of the pie in a dangerous game where we all could lose. Making Aramco subject to the market would mean it too becomes driven only by profitability, and any public interest considerations could be subject to challenge. Saudi Arabia was one of the founder members of OPEC in 1960. At the time, the economies of the Persian Gulf were crippled by decades-long contracts that gave rights to all the oil to foreign companies, and the vast majority of the revenue from it. OPEC’s achievement in facilitating its members’ sovereignty over their oil resources overcame those burdens, and marked the transition into the post-colonial era. Today the water-stressed countries of the Gulf are again particularly threatened by another issue that affects the whole Global South: climate change. The transition this time is no less politically difficult. OPEC and its leading members should play their role in helping that transition to happen.